We know about six of them, but what about the other two? 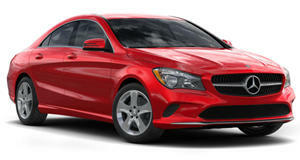 Mercedes recently announced the all-new version of its smallest model, the A-Class. This new car as well as a highly updated interior with a . So far, Mercedes has only revealed the hatchback version of the A-Class for Europe, which will not be making it to the US. A sedan variant is set to arrive by the end of the year, however. In fact, reports that the A-Class will spawn at least eight variants in its lifetime. So what will these eight models be? We really like the way that the new A-Class hatchback looks. Luckily, Mercedes-Benz chief designer, Gorden Wagener, said that “I can assure you that all variants on this platform, there will be at least eight, will be stunning." So far, we know what six of these eight models will be. These include the already revealed hatchback, the sedan for the US and China markets, the GLA crossover, a GLB (), a new CLA four-door-coupe, and a new B-Class. 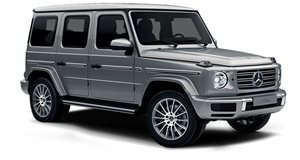 The baby G-Class model is the one that we are most excited for, but there is still a question surrounding the last two models. Wagener was pretty tight lipped on what these variants would be. When asked about a two-door model and a convertible variant, Wagener said “Honestly I don’t think a convertible of an A-Class would look good. I would not do that." Mercedes wants to keep us guessing, so we'd like to put our prayers towards a shooting brake or wagon variant. We'll have to wait and see what these two variants end up being, and if they will even be available in the US.